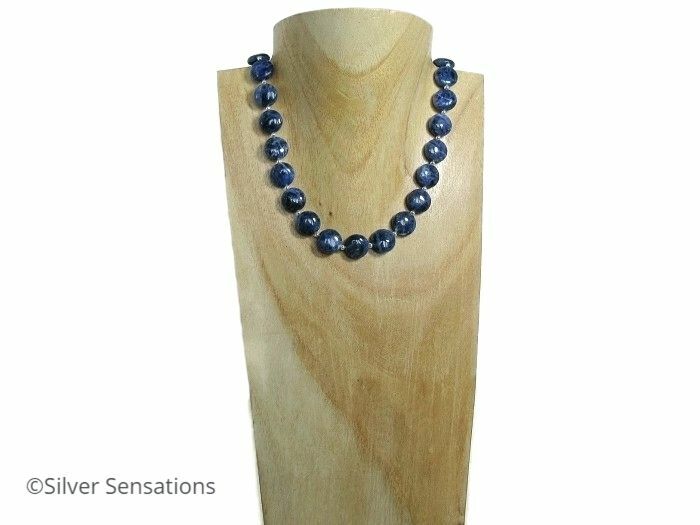 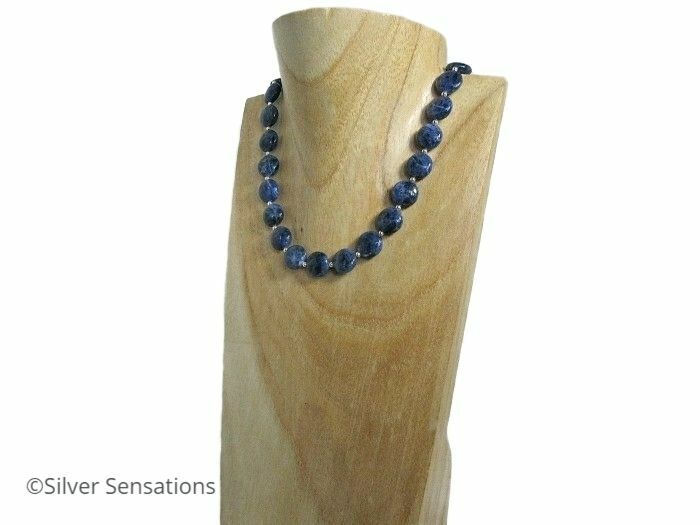 A stunning, handmade designer blue coins ladies beaded necklace with beautiful dark blue Sodalite semi precious gemstones. 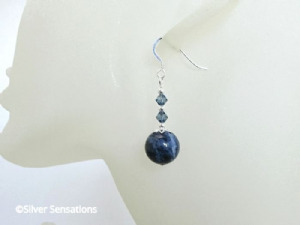 These glossy coin beads measure 12mm x 4mm in size & are a wonderful stone where some have random lighter patches & veins, making every bead unique. 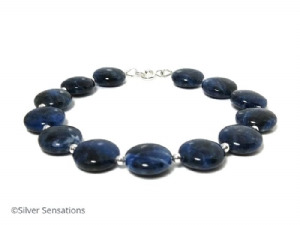 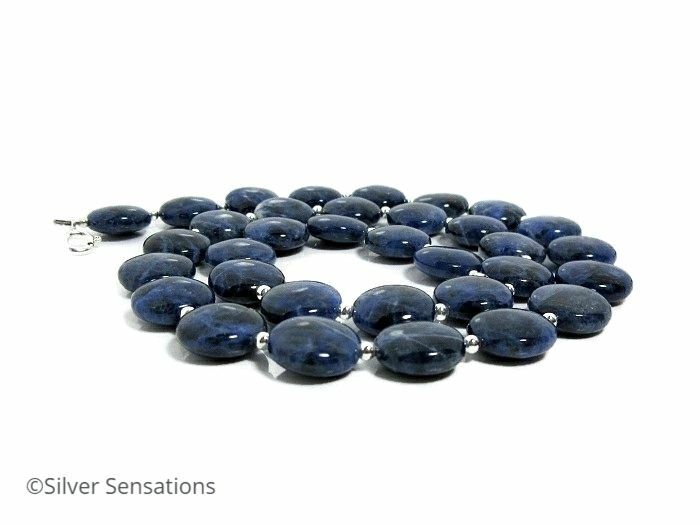 In between each of these Sodalite beads is a Sterling Silver seamless round bead. 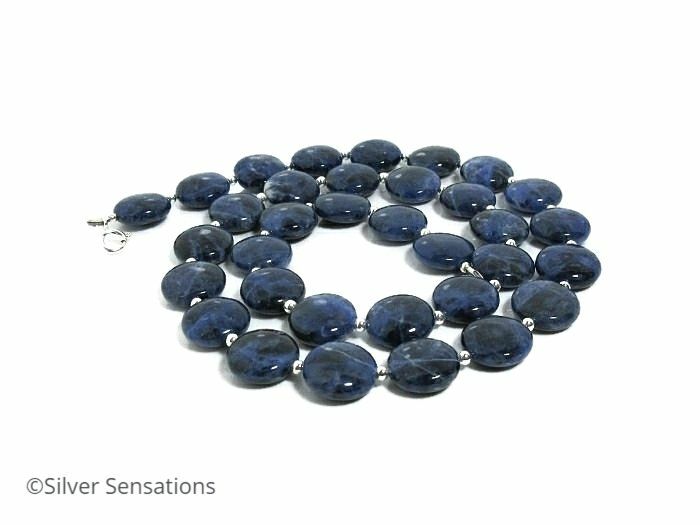 This very limited edition necklace is 18" in length & is finished with a Sterling Silver bolt ring clasp fastener and fittings. 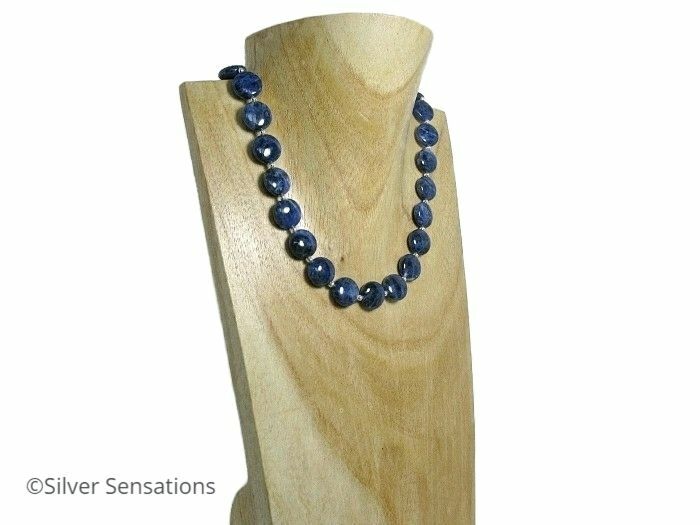 This necklace really has the WOW factor when it comes to elegance, a wonderful designer look. 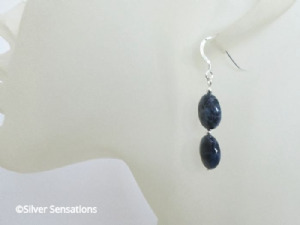 I buy all of my guaranteed genuine .925 Sterling Silver from reputable UK Silversmiths. 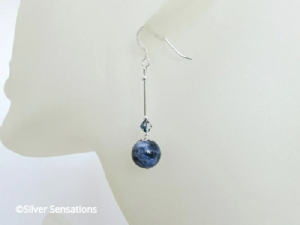 This is so I can be sure that I'm using only the highest quality materials for your uniquely designed piece of handmade jewellery.